One of the most important things parents can teach their children is how to budget money and spend wisely. From the early years well into adulthood, parents will be the most influential figures for kids developing spending and saving habits. Below are five rules for teaching children fiscal responsibility at any age. It’s never too early to introduce money concepts. The Count and Learn ATM machine teaches those between 2 and 4 the basics of banking, ATMs, coin values and more. Once they’ve outgrown that, the Desktop ATM Junior will teach them how to track account balances by allowing them to deposit real currency and coins. Start a savings account with your grade school-aged child. 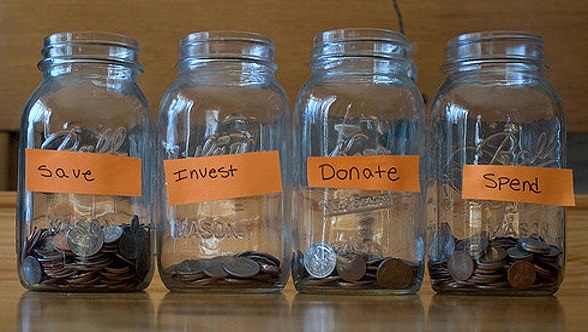 It’s important to teach the value of saving money as early as possible. 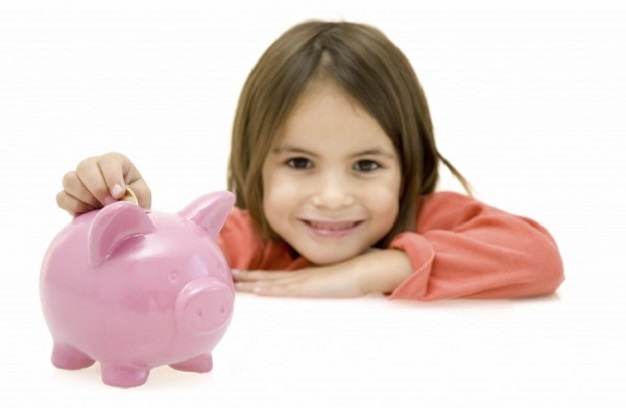 Take your child to the bank and open a savings account at an early age. Then teach them to set aside a portion of their allowance each month or any gift money for the savings account. While they may only make deposits of $5 or $10 at a time, this will teach them that a little bit can add up over time. Help your teenager establish credit. As adults we know how important a credit score can be. The number dictates one’s ability to purchase a home, finance a car and more. When you deem your teenager old enough, perhaps upon high school graduation, take them to open a student credit card through your bank. This will have a low limit like $250, but will teach them how credit works and help them began to establish a credit score. It’s important to tell your child the basics of a good credit score like always paying bills on time, not opening too many accounts and keeping revolving balances low. Let them make their own decisions, even if it means making mistakes. It can be hard to sit back and let your child determine what to spend their money on if you don’t approve of the spending patterns, but it’s important for them to find their own financial footing. While your child might make a mistake from time to time, this allows an opportunity for you to teach them where they went wrong. When they experience it first hand, the key takeaway will resonate more. Reward them for saving money. Like the coupon-esque rewards programs banks use by offering a percentage or dollar amount off at a local business or national retailer, you should reward your children for establishing a prowess for saving money. Some credit unions give perks, like T-shirts and other prizes, and your own system with your children should reflect that. If you see your children displaying savvy saving techniques, give them a treat or an extra hour of TV time. This could motivate your children to continue their behavior.